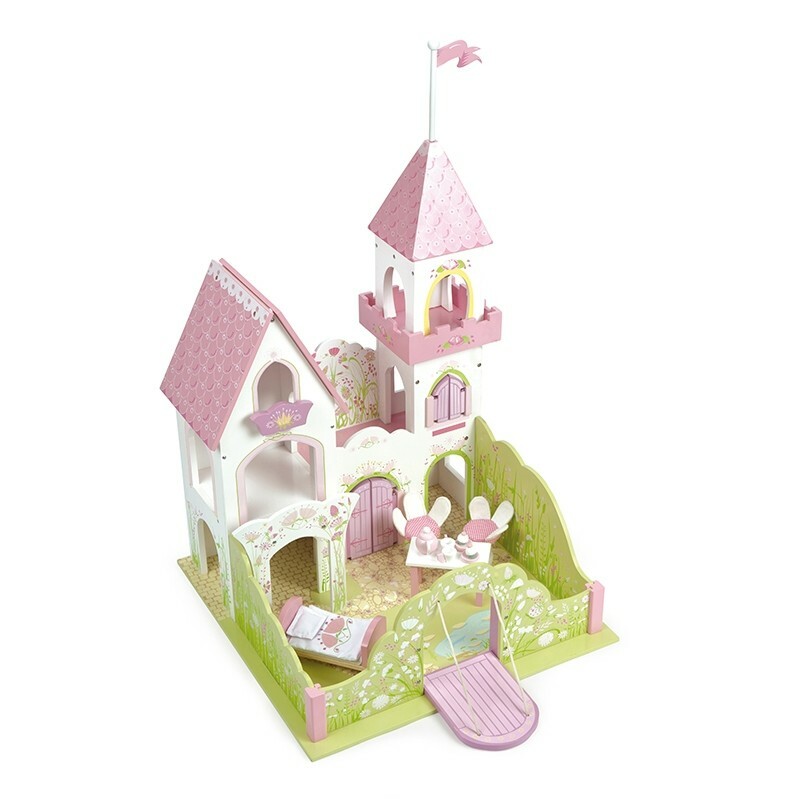 A beautiful painted wooden fairy castle with highly detailed floral artwork. The special features include a high tower with flag, a princess balcony, a lifting drawbridge and also opening shutters & doors. 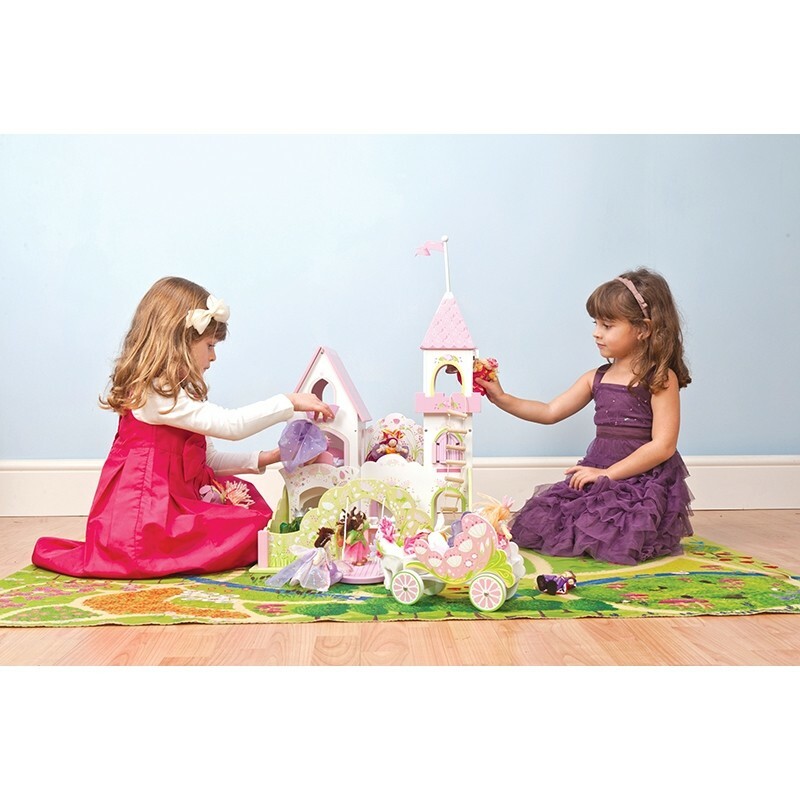 Special accessories include a bed with linen, a table, 2 fairy chairs and a toy tea-set. Perfectly scaled for Budkins fairy characters and any other figurines around 10cm tall.